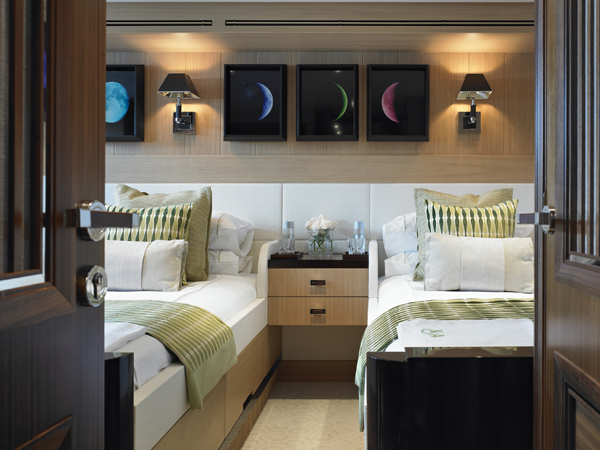 The interior of Feadship’s luxury yacht Kathleen Anne is a home-away-at-sea. 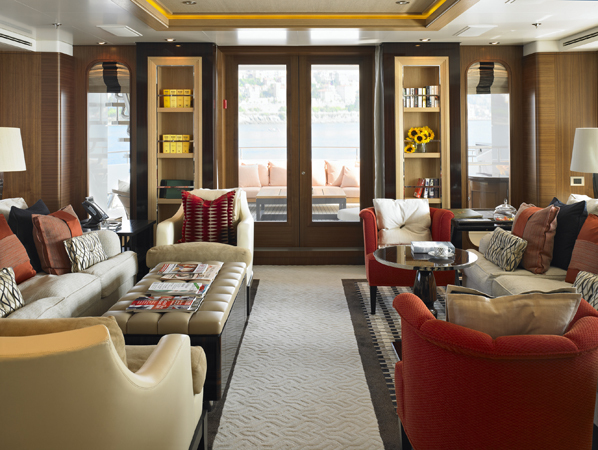 Designed by Bannenberg & Rowell Design, the interior of the 39m (128ft.) yacht has a crisp and contemporary look that is smart but homely. The oak and walnut furnishing creates a calm and dignified ambience for this floating retreat.